This sedan has 130k miles and it drives like a dream! It has leather seats that are in excellent condition and the interior is immaculate. Tires are all at 6/32nds, front brakes are at 5mm and the rear brakes are at 10mm. The A/C blows cold and the heater blows hot. This is a beautiful car that offers comfort and convenience. Call or come on by for more information. 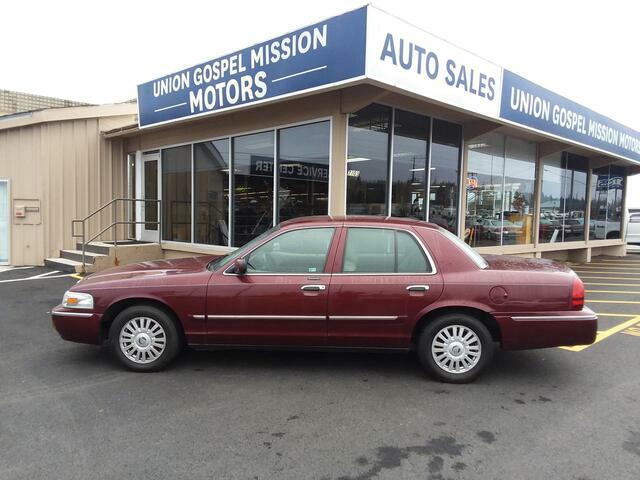 All UGM Motors vehicles are evaluated and repaired by ASE Certified technicians, professionally detailed and offered for sale to support Union Gospel Missions efforts to help the less fortunate in the Inland Northwest. We offer training to Union Gospel Mission program participants and other local organization participants in many areas of our dealership; administrative, detailing, maintenance and sales. It is our hope to help those in need through generating contributions and training. We invite you to partner with us through your donation or purchase of a boat, motorcycle, ATV, car, truck or RV.